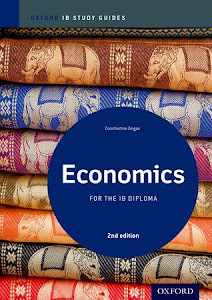 The question how to help students write top-notch essays in IB Economics examinations was again, very recently, asked by a colleague. Paper 1 is perhaps the most difficult paper for IB Economics students to deal with, especially if English is not their native language. So, how can one assist candidates in this task? Let’s assume two broad types of candidates: Type A is the candidate who is aiming to achieve a 6 or a 7 in Economics and to study in a top university after graduation. Such a candidate has prepared very well and is well versed in theory. So why does he or she often earn L3 or L2 marks i.e. 4 to 8 out of 10 in part (a) or 6 to 12 out of 15 in part (b)? Why is it so difficult to achieve a Level 3 response and almost impossible to achieve Level 4? Some run out of time, having spent too much time in parts (a) and in the first essay attempted (out of the two expected). And, many others, fail to effectively use real-world examples. They all define properly the relevant terms used, they all explain well the relevant economic theory and they all manage to draw, correctly label and explain all relevant diagrams. After all, we are assuming Type A candidates! So, what advice would I offer to these guys? Let me tell you a real story. I was asked a few years ago (2013 syllabus) by students to write in front of them on my laptop (and project what I wrote on the classroom screen) an essay that they chose (I’ve since done this a number of times). I initially objected explaining that it seemed like a total waste of our precious time. Eventually, I succumbed. They asked me to write a specific micro essay. Because it is important to pace yourself. You simply cannot invest too much time on any single point you explain, on any single definition you provide, on any single diagram you draw, on any example you use to illustrate. You must always be aware of how much more time you have left. One is not expected to write everything they know on a topic! This brings me to the 2nd point. I kept reading again and again the wording of the specific question to make sure I didn’t go off on a tangent. It is very tempting for a Type A candidate to think that the exam time is the time for a ‘tour de force’ of his or her knowledge on the issue! Examiners simply want a clear response to the specific question not a chapter from your favorite textbook or study guide! As a matter of fact, just this past year I had a student who was extremely strong (a straight ‘A’ student) but who scored (relatively) poorly in our first few exams which was devastating to her. She would protest how could I not award her full marks when she wrote everything on the relevant topic! I tried to explain to her (at one point I wrote a 3-page word document for her!) that this was exactly her problem: there was no way for the examiner (moi…) to ascertain that she really had understood the question! According to the assessment markbands found in the 2013 syllabus (my students have access to these) examiners need to determine that ‘there is clear understanding of the specific demands of the question’. If the Type A candidate writes everything under the sun, I cannot be sure that there is ‘clear’ understanding of the ‘specific’ demands of the question! She eventually understood the point and her essay writing improved significantly (she earned a 7 this May and was accepted at one of the best US colleges). Concerning the use of real world examples, candidates must try to be aware of what is going on in their country and in the world. This blog also aims at providing some help on this issue. But students could work alone or in groups of 2 or 3 with or without the guidance of their teacher to build a file with as many real-world examples as possible on as many learning outcomes of the syllabus as possible. A shared google doc could also be used (or course, in my experience, there is always the free-rider problem but not much we can do about this!). Class presentations of real world examples once or twice per month could also be organized with each student (or group) responsible to illustrate an issue. 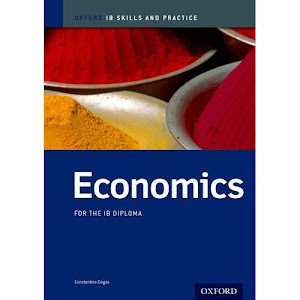 If the teacher has provided students with a file of all past IB Economics micro and macro essays (I do that at the beginning of the year) then these essays can be grouped and real-world examples can be found by the student(s). Separate posts will follow for Type B candidates as well as for some tips specifically for part (b) essays.